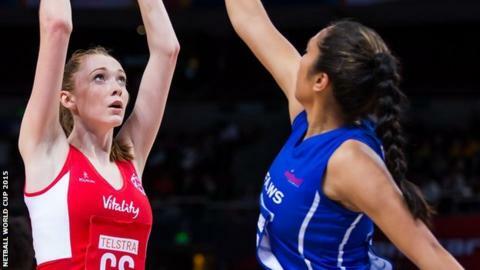 England beat Samoa 85-34 to finish top of Pool B at the Netball World Cup. Wales' final group match is on Monday (08:20 BST) against Uganda - a game which will decide the pool winner. Scotland, currently third in England's pool, will face second-placed Jamaica on Monday (10:20 BST). England's win over Samoa was a routine affair compared to Saturday's hard-fought 54-50 victory over Jamaica.